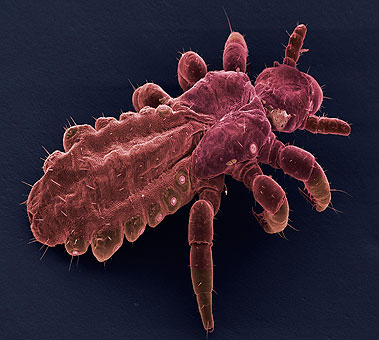 This week, editor extraordinaire Julie brings us a stirring tale of lice and labour .. When was my first time? Well it wasn’t when I was a child. My first experience with nits was exactly a year ago. At eight and a half months pregnant my toddler daughter came home on her last day at nursery with ‘the letter‘. We’ve timed that well, I thought, after a quick scan of her scalp. She’ll spend the summer home with me and her soon-to-arrive sibling completely nit-free. Two weeks later I had another squint at her head as I washed her hair. What the hey?! Forcing myself to take a closer look I discovered an impressive infestation. That night while my daughter played happily in the bath I slathered conditioner on her hair. Nit-comb and tissue paper in hand I was ready to start the eradication process. One comprehensive round of clearing later I knew I was supposed to wait five days before checking for newly hatched lice. But, with nothing but time on my hands, it became an irresistible daily urge to take a peek every bath-time. Did that speck just move? Is that one? Is it a different colour to the ones I removed before? I thought I’d just ask my mum to check me. Seconds later she was presenting me with exhibits on a white tissue to examine and confirm. No! NO! Surely not me too? Days from my due date I had to concede that, yes, my cuddly little bed-invading toddler had passed on her infestation. Action stations. I would not have a baby while there were things on my head having babies of their own! My mum was a godsend and as the first days after my due date passed I was just relieved. I’ll be able to get rid of the little bleeders before the babe arrives, I thought. By day ten after my due date I was too hot, tired and emotional to do anything except eat ice lollies, keep my feet elevated and hope that something was going to happen today. Due date +12: my daughter’s head was looking more louse-free by the day. And I was now so adept at the conditioner/comb combo that, despite my long locks, I could do a pretty good job on my own, then ask my mum to check through my workmanship. So there I was, sitting on my bed watching Timothy Olyphant being Justified combing through my softly slathered tresses when I thought, “hmm, was that a twinge?” I quickly finished combing, jumped back in the shower to rinse off and realised if it’s making me groan out loud it’s not a twinge, it’s a contraction. And after two weeks wait they came fast. At 4.30pm I was on the bed with Timothy, by 6.20pm I was on a hospital bed meeting baby. Olyphant: expressed 'sympathy' for Julie's plight. She was born with a beautiful dark head of hair which, like lice, is subtly changing colour with age, but thankfully within which the little blighters have yet to be found. But now she’s at nursery too I know it’s only a matter of time until I reach for those combs again. With their emerald-green plumage, bright red bills and raucous calls, Ring-necked Parakeets seem to be everywhere these days. Admittedly rather pretty, these tropical parrots have been ‘naturalised’ as UK birds since the early 1970s. Theories abound on how they got here in the first place; some say they escaped from a studio during the filming of the African Queen; others claim that Jimi Hendrix liberated a few to jolly up London a bit. 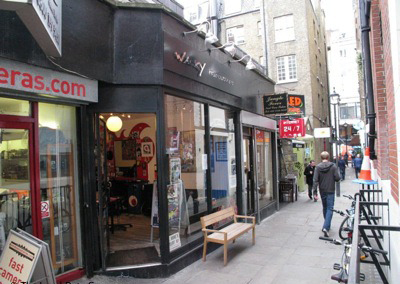 All enjoyable bunkum, but either way, their population has boomed over the last decade; they are now common throughout the London area, and are spreading fast. I love Paris in the springtime; I was there a couple of months back. 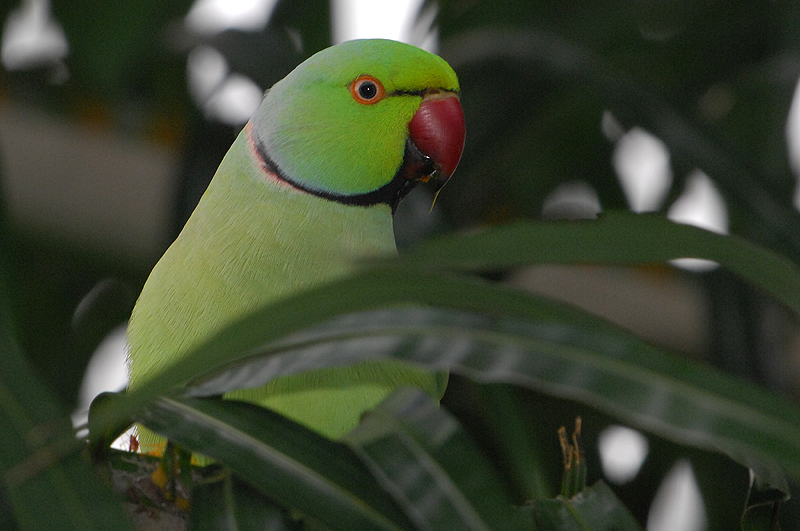 Like many other European cities, Paris, too, now has its very own recently established parakeet flock. I was pleased to watch a group screetching away merrily in some trees outside the Panthéon, before taking off in a swooping green flash across the city. Its a parakeet! But on a tapestry made in 15th-century France. It has to be a Psittacula parakeet, but which one? The absence of a red on the wing strongly suggests that this is Ring-necked (as opposed to Alexandrine, the only other contender). 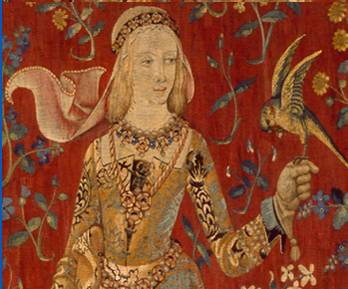 How on earth did this exotic wonder crop up in a tapestry in mediaevel France? 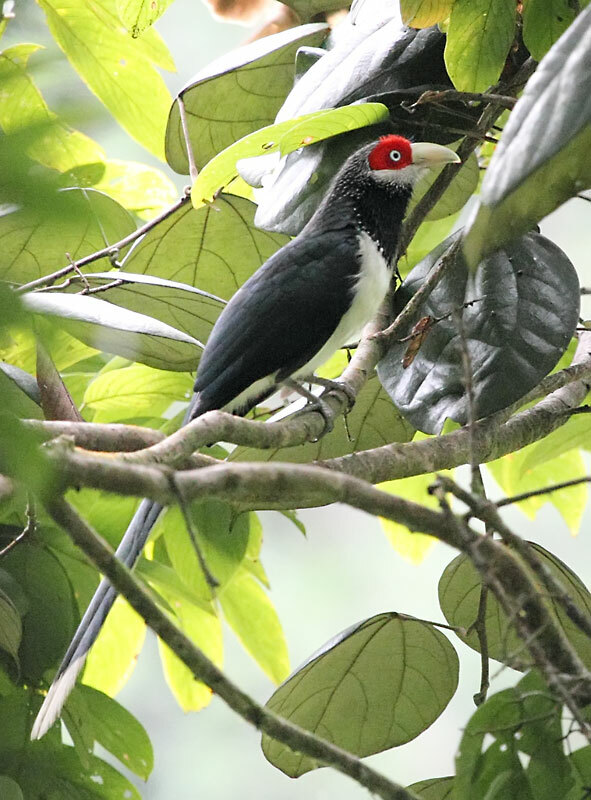 The bicoloured bill is suggestive of the north Indian subspecies of this bird (as opposed to the geographically closer African one). A little research suggests that the species has a long history in aviculture, so it may be that the bird our Lady is feeding was actually bred in captivity. Or it might have been traded across from eastern Europe or, who knows, even further afield. Either way, birds of the same introduced exotic species that was swooping above my head some half an hour before were presumably kept in the very same city, more than 500 years before. 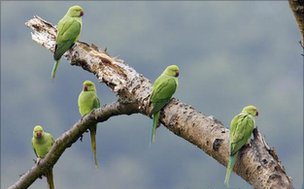 So although it seems like they’ve only just bustled into our lives, these noisy green parakeets have been with us in Europe for a long time – I had no idea just how long. Ring-necked Parakeets on the Eiffel Tower, yesterday. 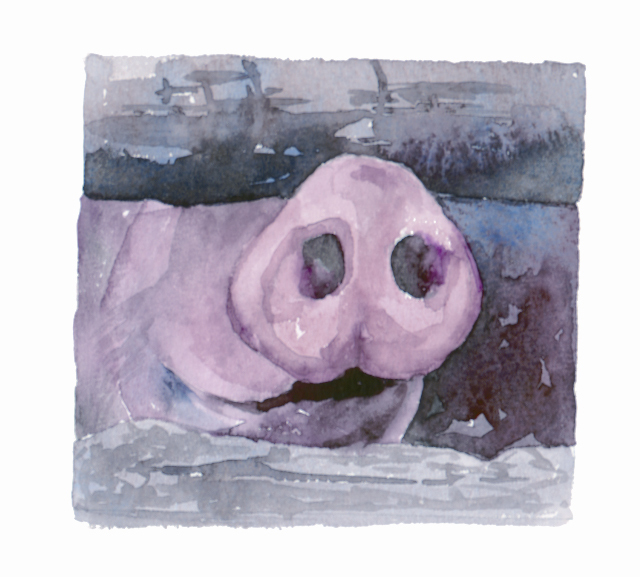 This week we have a delightful guest blog from our cherished author and award-winning artist, Celia Lewis, who discloses how life really is living with a pig or two. “Mum, there’s a pig at the front door” is not necessarily what you want to hear when you’ve just changed and are about to go out to dinner. “A” pig rather than “a couple of pigs” is even more tiresome as it means one is missing. Never give your pigs names you are advised, if they are going into the freezer – this is fine advice until it comes to calling them when they are lost. Pigs can be kept on very little land or a great deal of land. If you give them as large an area as you possibly can, with plenty of room to root, they will follow their natural instincts. The pig at the front door is very happy to trot back down to its field with the help of a bucket of nuts, but then there is the problem of finding out where its strong snout has managed to lift up the fence in order to squeeze under. It is quite remarkable how small a gap a large pig can slip through. Gloucestershire Old Spot sow. 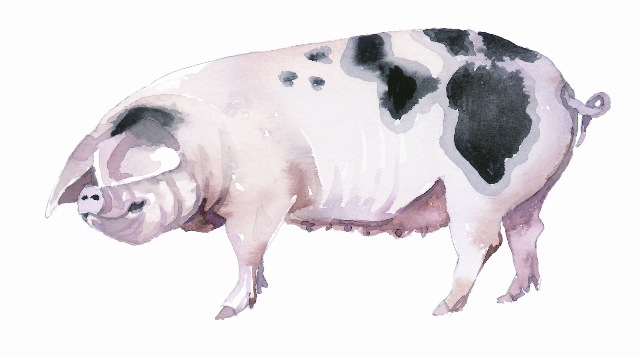 The Gloucestershire Old Spot is a pig well suited to the smallholder with a bit of land as they are hardy and excellent foragers. Finding the lost pig is another matter. We are lucky enough to live on the edge of a huge area of heathland and one feels awfully foolish wandering about shouting “piggy piggy piggy”. Dog walkers are rather surprised, though not half as much as when they meet a large spotted pig trotting merrily along the footpath towards them. Our pigs never went far, however, and were always overjoyed to see you when found. A healthy snout is cold and moist. The snout is used to dig into the soil to find food and is a very acute sense organ. The field where our pigs live has a hill right in the middle, which necessitates a long walk all the way round if the pigs aren’t visible, so I taught them to come to a whistle which also saves a lot of calling. The only problem is that lop-eared pigs have trouble locating where a sound is coming from, not to mention being unable to see because their ears hang over their eyes – they hear the whistle and run, but frequently in the wrong direction. Stop, look about, I whistle again and they hurtle in a different direction. Eventually they see me and come running, ears flying – their funny stiff gait always making me laugh. Pigs have the reputation for being intelligent but mine never seemed to learn that when I whistled I was always by their ark where they were fed. Gone are the days where you could feed your pigs with scraps or kitchen waste. But you may feed fruit and vegetables from your garden and your pigs will certainly appreciate it - windfall apples are a perfect example. 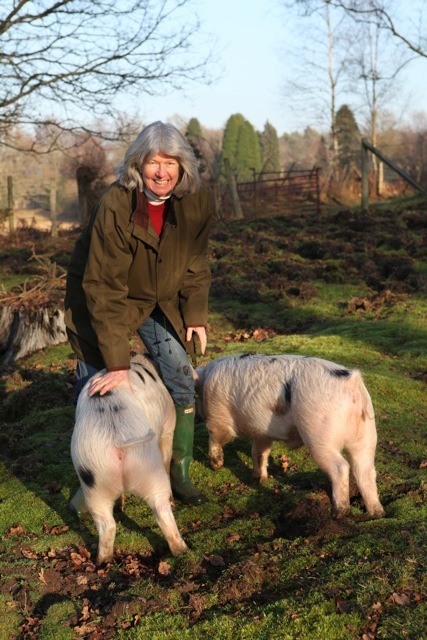 Pigs are characterful creatures that become extremely tame and I did rather regret the way they trotted happily and trustingly up the path and into the stable to start their journey to the abattoir. 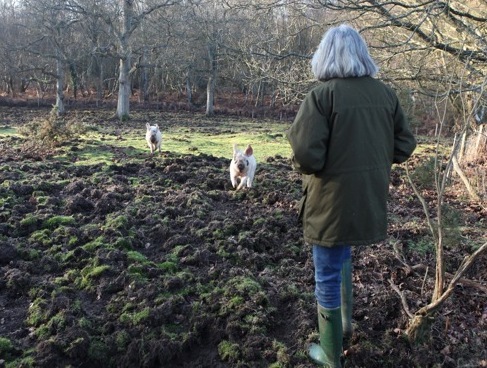 These two were lucky pigs though, that had five acres to root up – which indeed they did. Celia Lewis and her Gloucestershire Old Spots. 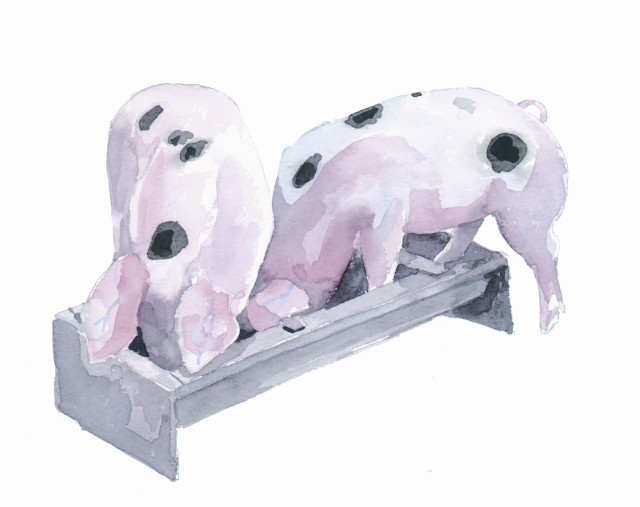 Celia Lewis is the author and artist of the wonderful Illustrated Guide to series, which are delightfully illustrated and informative books ideal for anyone interested in keeping pigs or chickens who wants to choose the most suitable breed for their circumstances. There are two published titles in the series so far: the best-selling The Illustrated Guide to Chickens and, brand new this month, The Illustrated Guide to Pigs. Celia is currently hard at work writing and painting for her next title in this series The Illustrated Guide to Ducks and Geese, due to publish in summer 2012. It’s cold, actually it’s freezing – hard to believe that I am in the Iberian Peninsula and not somewhere in the Arctic. The temperature has plummeted to -11oC here at 1,600 metres in the Pyrenees. It’s January. Having to keep motionless in the dark really doesn’t help much, nor do the layers of thermal underwear, tights, pairs of socks … the sky outside is intense blue. That should, at least, ensure good conditions for photography. But will our target birds arrive today? It’s now 10am and my wife and I have been in the hide for four hours. The sun is up but the temperature stays below freezing. Some silhouettes flit past. They are large. We focus the cameras on the deer carcass laid out barely 15 metres away, and we wait … out of nowhere a Griffon Vulture appears, as though by magic, but he’s been soaring cautiously above the bait – we just couldn’t see him with our limited view. A blink of the eye and there are now twenty vultures on the ground. They look around nervously, unsure. We avoid the temptation of clicking away. This would be the wrong moment. If they get spooked now, that will be it for today. Ten minutes later and a hundred or so Griffons approach the carcass. The first one goes for the intestines and starts to open up a gash. Others come in quickly. They start to scream and chatter at each other. The frenzy has started. Now we can start to shoot! 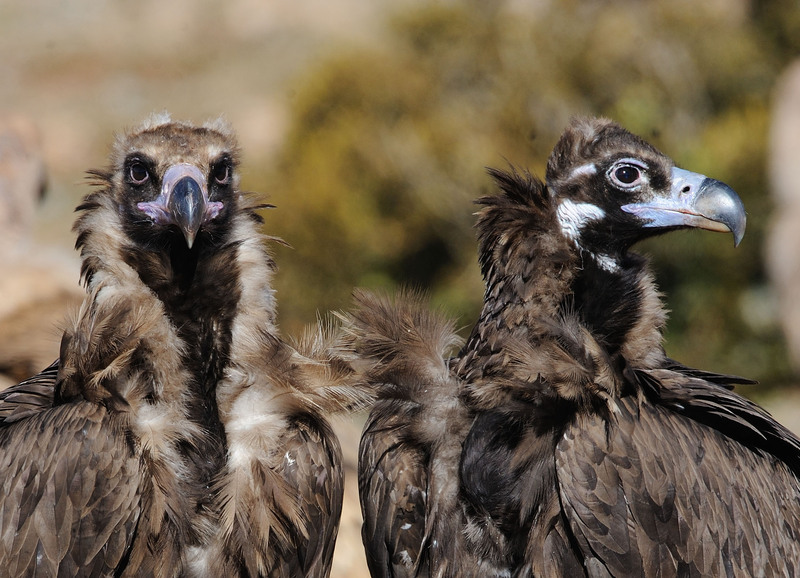 Black Vultures - the Face of Death. 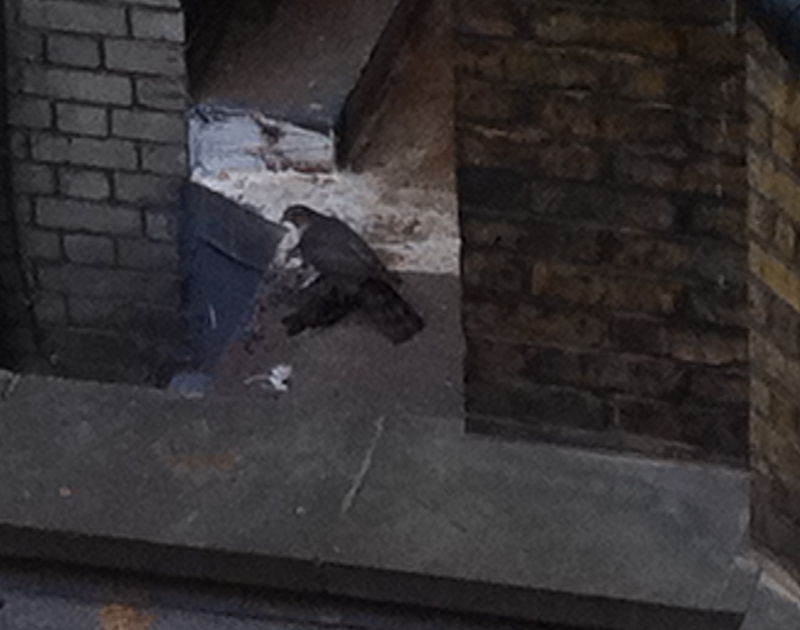 Then, as unexpectedly as the first Griffon, our first Lammergeier is down – a first-year bird. This one stays on the edge of the commotion. It looks around nervously but then starts to walk towards the hide. A second bird puts it up as it lands. 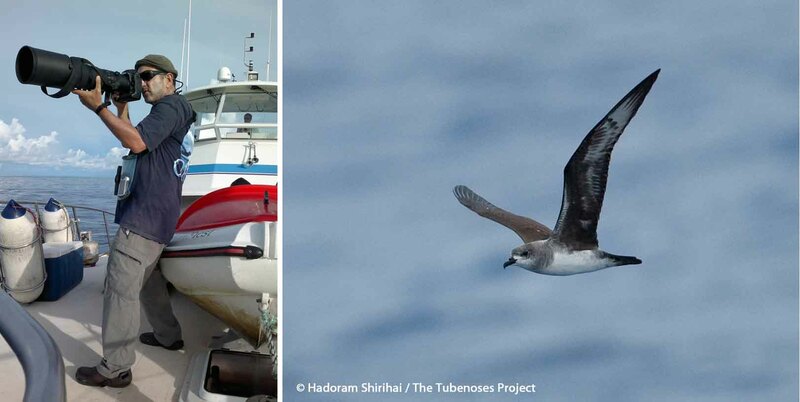 These birds seem to have the habit of landing close to each other in threatening fashion, often displacing each other. And the young ones seem more aggressive than the adults. Then the “wow” moment as the first adult lands. 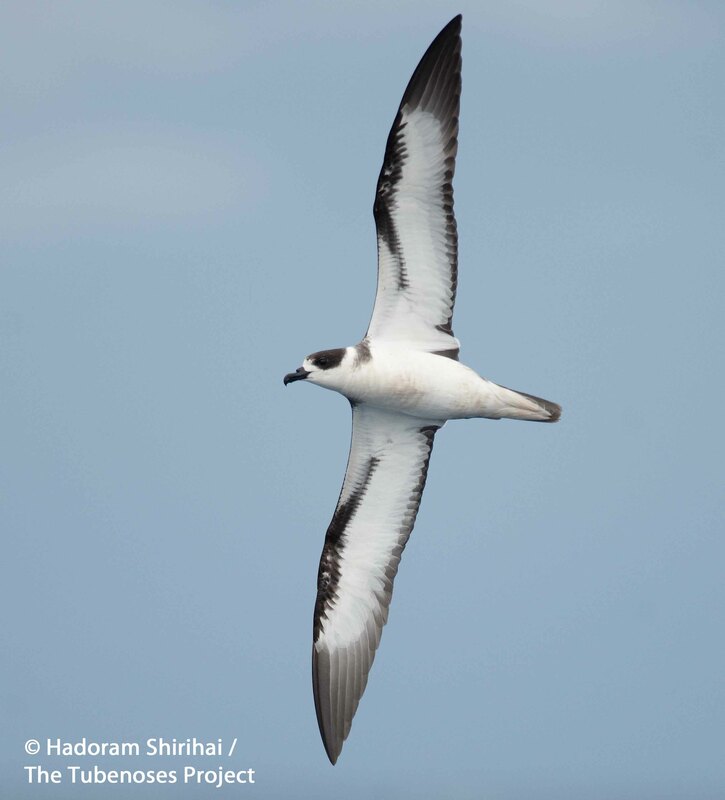 Its hard to believe how spectacular this bird is when it is just a few metres away. Anvils? Who needs anvils. 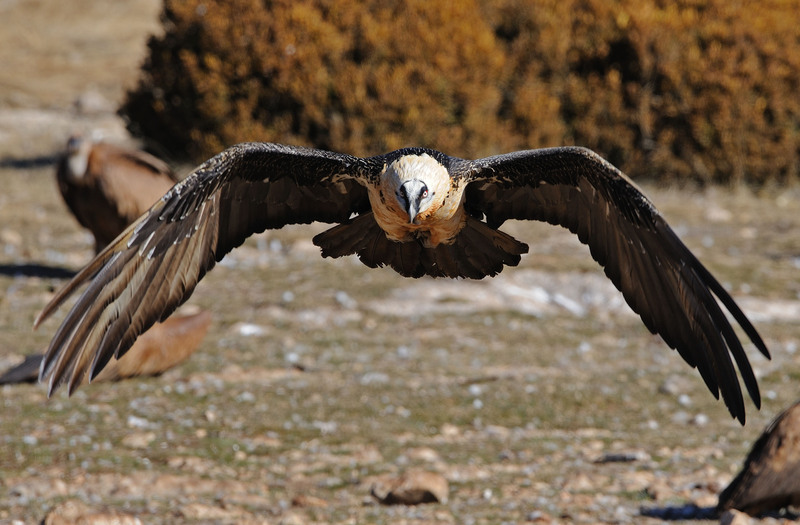 The Lammergeiers find their ideal bones, manipulate them with dexterity and swallow them whole! That’s just one lesson from watching birds close in. It’s only when the optimal bones are exhausted that the larger ones are carried away, held in one foot or with the beak. 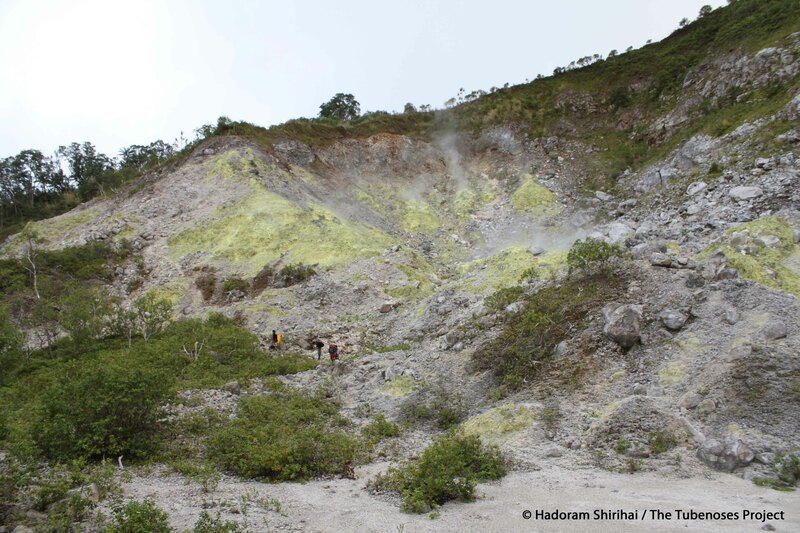 The scene I have described would have been a familiar one to our prehistoric ancestors. 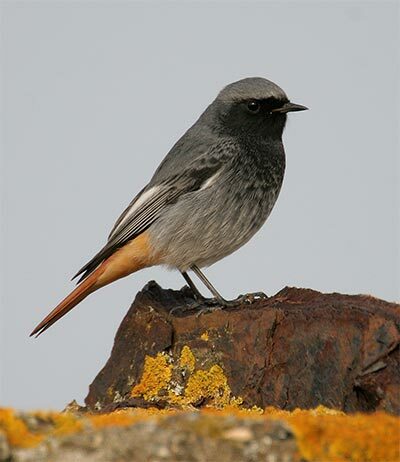 In fact, most of the Palearctic species around today predate the last two million years of glaciation and many are much older. Lammergeiers shared their Palaearctic range with the Neanderthals – the fit is almost too exact – and they must have come into close competition for bone marrow. 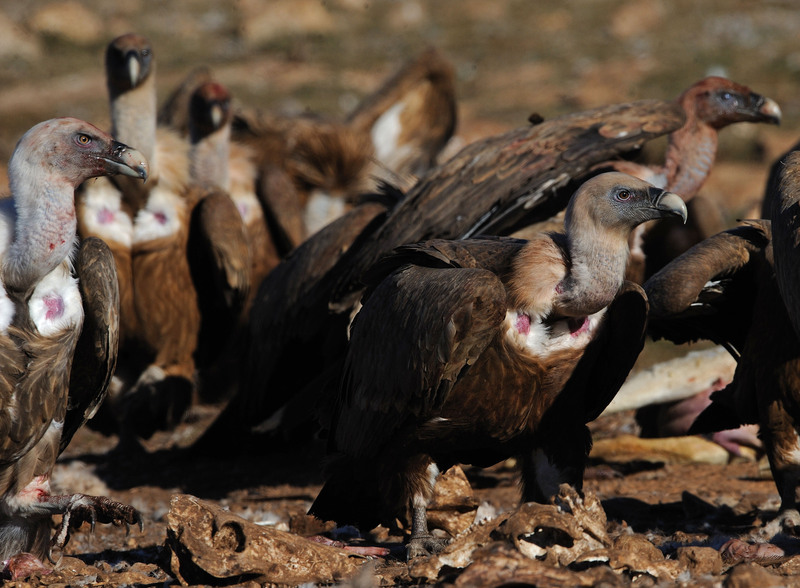 No doubt the Neanderthals watched the vultures, who led them to sources of food. 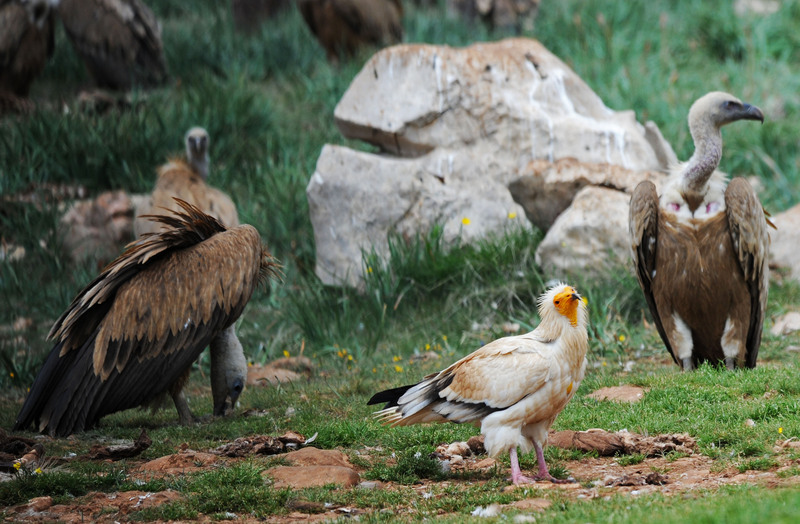 An Egyptian Vulture joins the fun. 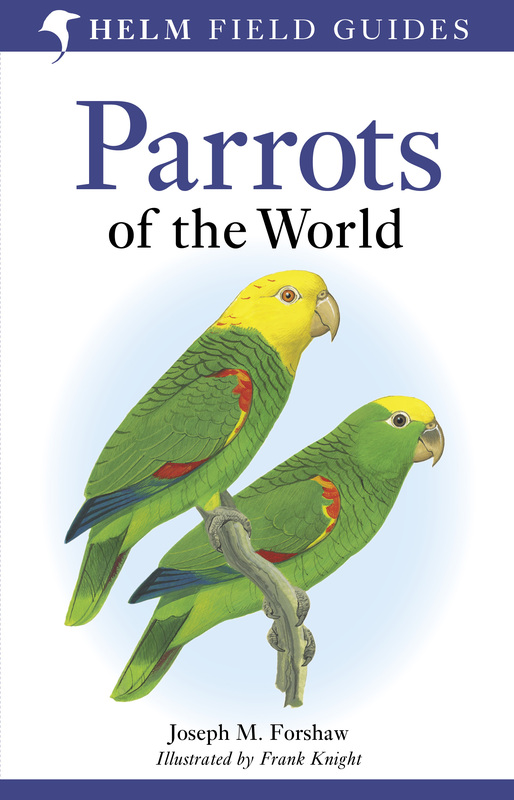 Clive is the author of Avian Survivors: The History and Biogeography of Palearctic Birds – on sale next month! A few years back I had a memorable journey through Sri Lanka, and I’ve had a soft spot for the birds of this magical island ever since. 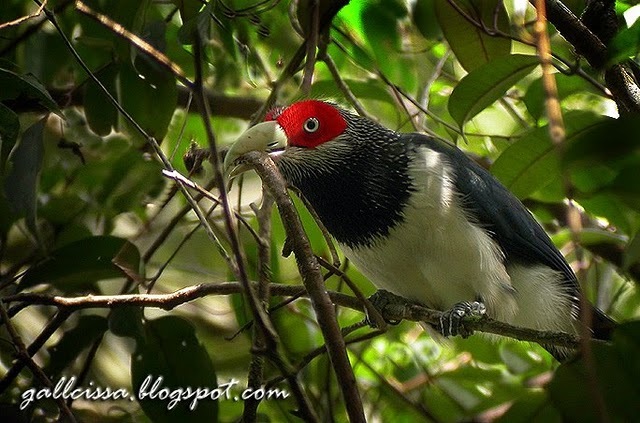 I’m currently busy compiling photos for our book Cuckoos of the World, and was drawn to a series of snaps of one of my favourite Sri Lankan endemics, the scarce and rather beautiful Red-faced Malkoha, taken in the famous Sinharaja rain forest by tour guide and photographer Amila Salgado. A nice portrait, but what really blew my mind was this. Take a look. A bird carrying nest material? Wrong. This cuckoo is actually feeding on a gigantic, branch-sized stick insect! 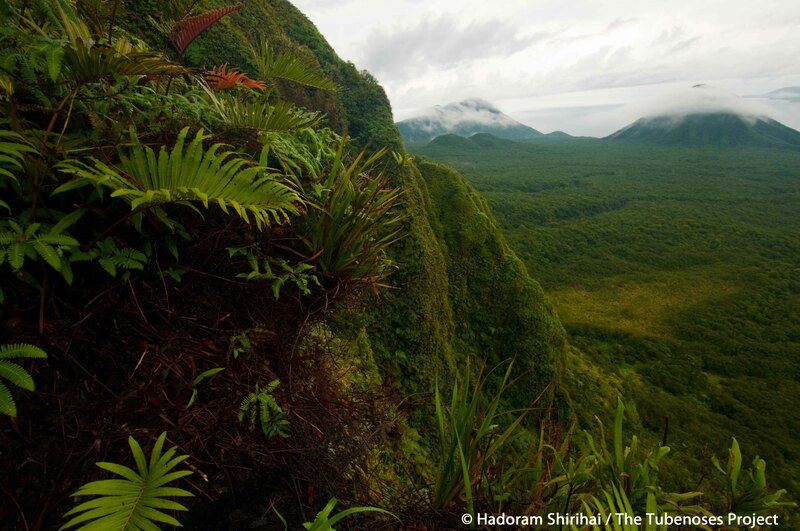 I had to know more, so I had a look at Amila’s blog (his profile claims that he ‘holds the record as the first birder from Colombo to visit the Sinharaja rain forest in a tuktuk’ – very much our kind of chap). Amila took the photo during a trip to Sinharaja in 2004, just days after the devastating Boxing Day tsunami had hit the island. After seeing the bird in one of the mixed-species flocks (or ‘bird-waves’) that are a speciality of the forest, he took photos as the bird gave the insect a good bash, removing the limbs and the possibly defensive chemical-containing thorax, before tucking in. Far from being any old stick insect, this is actually one of the world’s biggest insects. 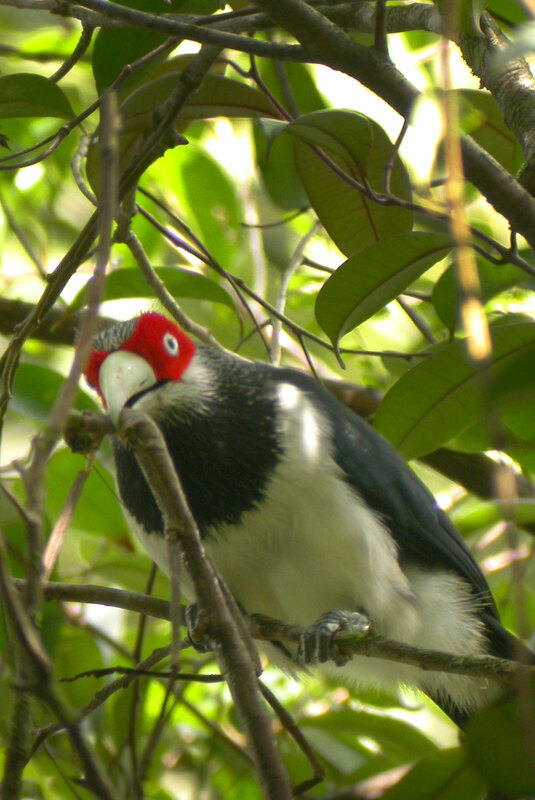 After an initial misidentification, an expert in the phasmid world told Amila that his malkoha was munching an adult female Phobaeticus hypharpax, one of the largest of the so-called ‘mega-sticks’, with a body length of up to 236mm. What a whopper. 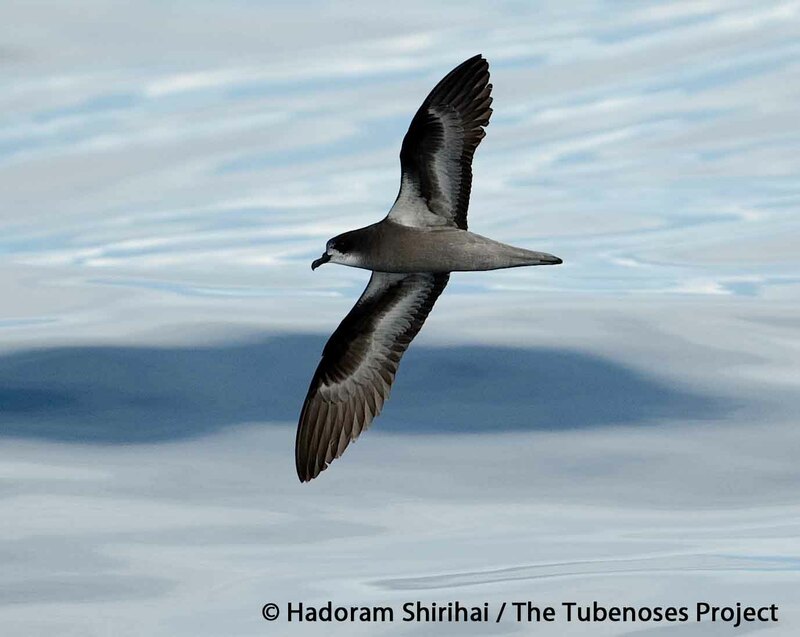 This wasn’t just a great photo of a great bird doing something remarkable. It turns out that prior to the publication of these photos, the range of this insect was mysterious (with the handful of ancient specimens in collections all labelled simply ‘Ceylon’). 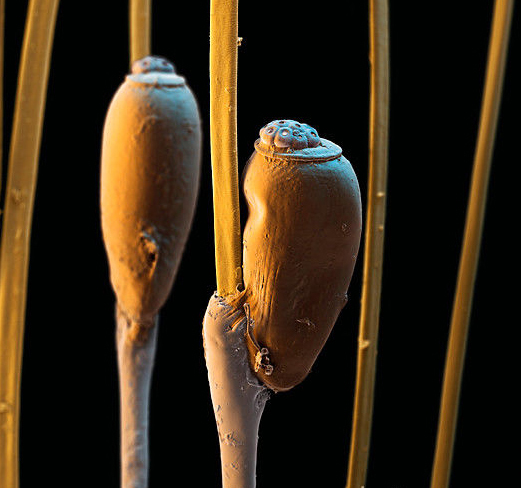 So entomologists now know a little more about the beast, although its biology remains almost completely unknown. Mighty though P. hyparphax is, it is some way behind the world record holder – P. chani, Chan’s Mega-stick, which lives on the island of Borneo. Formally described in 2008, Chan’s Mega-stick has a body length of up to 357 mm; its overall length with the limbs stretched out is an astonishing 567mm! Just imagine that. 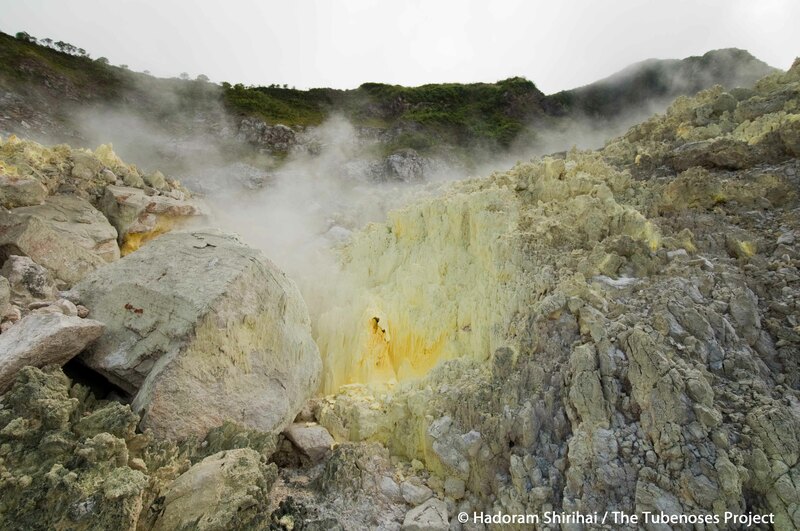 Read about Amila Salgado and his tours – and see more of his great photos – here. 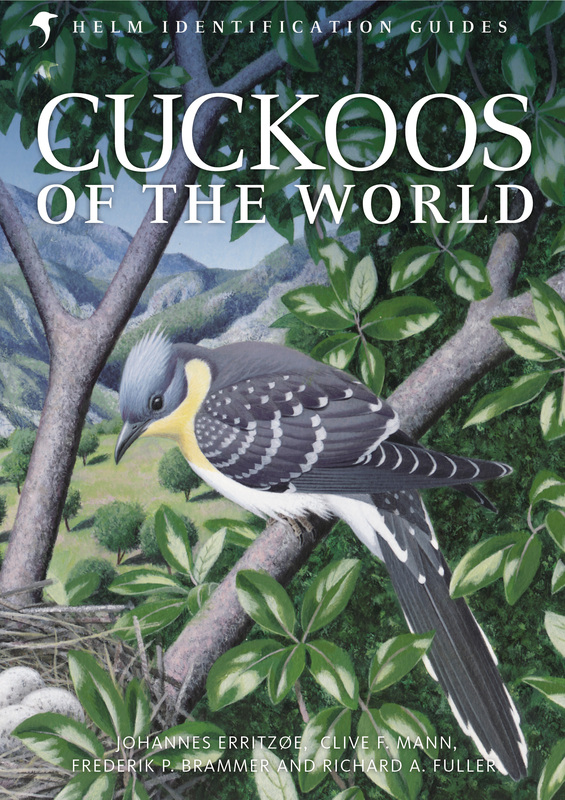 Amila is a contributor to Cuckoos of the World by Johannes Erritzøe, Clive Mann, Frederik Brammer and Richard Fuller – coming soon. Our guest blogger this week is David Tipling – a well-known professional wildlife photographer who for the last 20 years has travelled extensively, photographing some of the world’s most iconic wildlife. In this week’s blog, David reflects on the early days of wildlife photography and some of its pioneers. I was recently asked to take part in a programme for Radio 4 on Emma Turner. If you live in the Norfolk Broads and have a keen interest in wildlife you may have heard of Turner, but largely she has been forgotten. 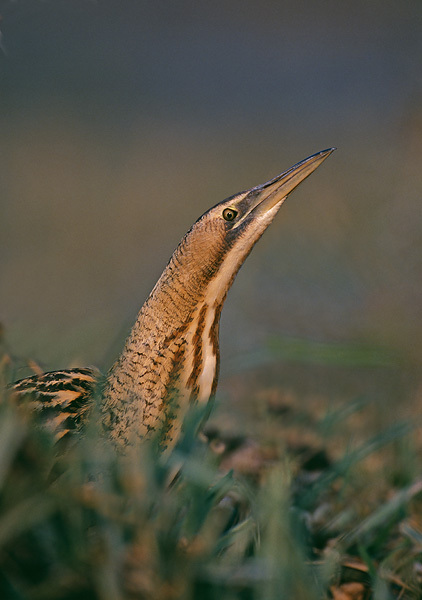 Yet a hundred years ago she shot to fame within the wildlife photography and conservation world, for it was Emma who discovered the first Bitterns breeding back in Britain since their extinction in 1868 and she took images of the young that even a hundred years on are still striking. For these photos she was awarded the Royal Photographic Society’s Gold Medal, a once prestigious award. Blowing the dust off Turner’s best-known book Broadland Birds I got thinking about those early photographers. Bittern stalking through the marsh in autumn. Emma Turner was very much a pioneer; she started taking pictures with a plate camera in 1900 just five years after R.B. Lodge took the first ever image of a bird, of a Lapwing on a nest. The limitations of her equipment meant she needed to be within just a few feet of her subject. Turner would get one of her helpers to cover her in reeds or any other natural material to hand and would lie prone for hours in pursuit of often just one image, because once her plate was exposed she had to reload the camera with another. 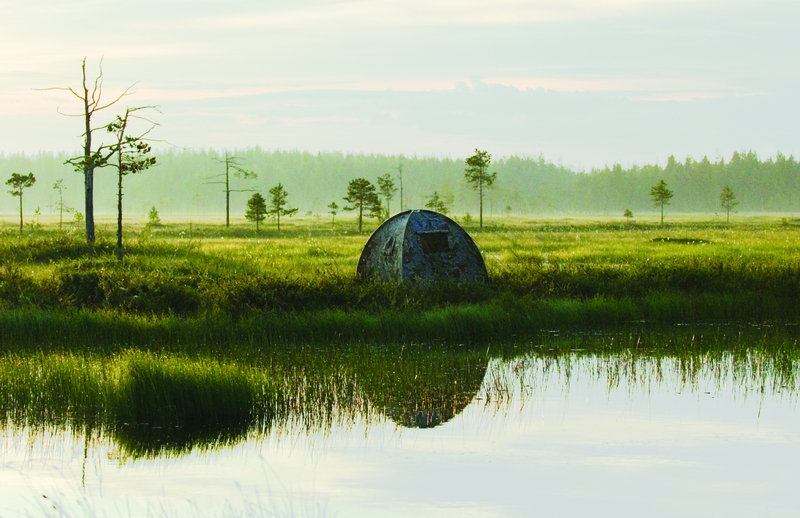 At the same time the Kearton brothers were also experimenting with concealment; they tried disguising themselves in a pantomime horse, made a false tree in which to hide and employed countless other ways of getting close to birds, but neither they nor Emma had yet to start using a simple canvas tent that later became known as a hide. Early wildlife photographers had to improvise their hides from whatever materials were to hand. In spite of these rudimentary beginnings remarkably by the start of the First World War nearly every species of British breeding bird had been photographed. Cherry and Richard Kearton blazed a trail and became very well known, indeed Cherry Kearton’s films were screened in cinemas around the world. And by the 1920s there was an ever-growing army of photographers, many still choosing to use the plate camera as it gave such excellent image quality. Plate cameras were still restrictive, however, both in reach (as you had to be so close to your subject) and because you could only expose one image before having to remove and reload the next plate – a far cry from the 10 frames a second photographers can capture now. It was during the 1920s that camera manufacturers started producing single lens reflex cameras for smaller formats. This was a huge leap forward for wildlife photographers and a decade later another major breakthrough came with the invention of Kodak colour film. Today's wildlife photographers can use lenses to create the illusion of proximity with their subjects. 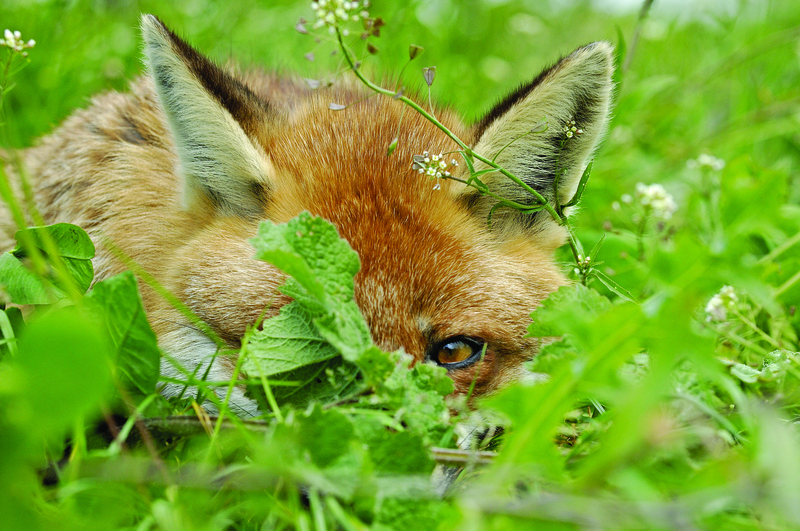 The long lens used to photograph this resting fox helped isolate the fox's head and provide focus on its one open eye. 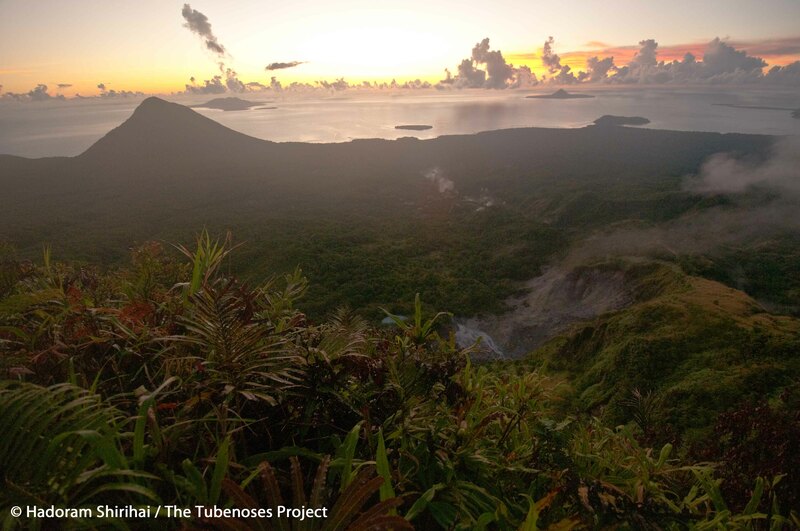 Since then our equipment has evolved to allow us to be able to capture the most amazing images from the natural world. But there is still one requirement of wildlife photographers that was as relevant to taking a great picture in 1911 as it still is in 2011, and that is perseverance. Kearton, Turner and the many great photographers that followed them have, of course, all experienced moments of luck when something special happens at exactly the right moment, but the harder you try the luckier you get. David is the author of several books and his wildlife photographs have been published widely throughout the world. 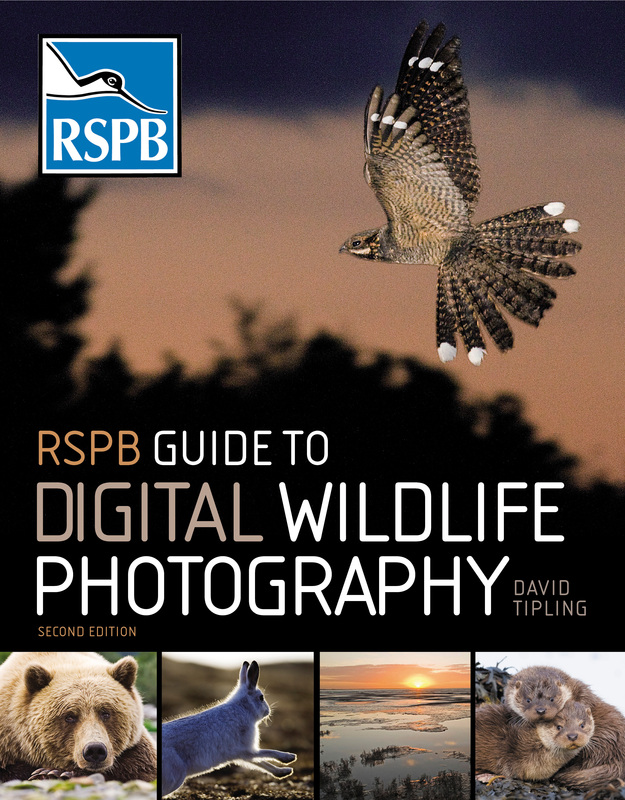 The fully revised second edition of his RSPB Guide to Digital Wildlife Photography was published earlier this year and is available to buy on our website now. It’s the ultimate reference book for all aspiring and established natural history photographers. What an Easter weekend it was. Every day was wall-to-wall sunshine, and the heat was more suggestive of August than April. We’d already had one full day out, watching Kittiwakes, Fulmars and Peregrines at Seaford Head in Sussex, and now it was Sunday night and I was surfing around the wildlife websites, looking for inspiration for something to do on Easter Monday. 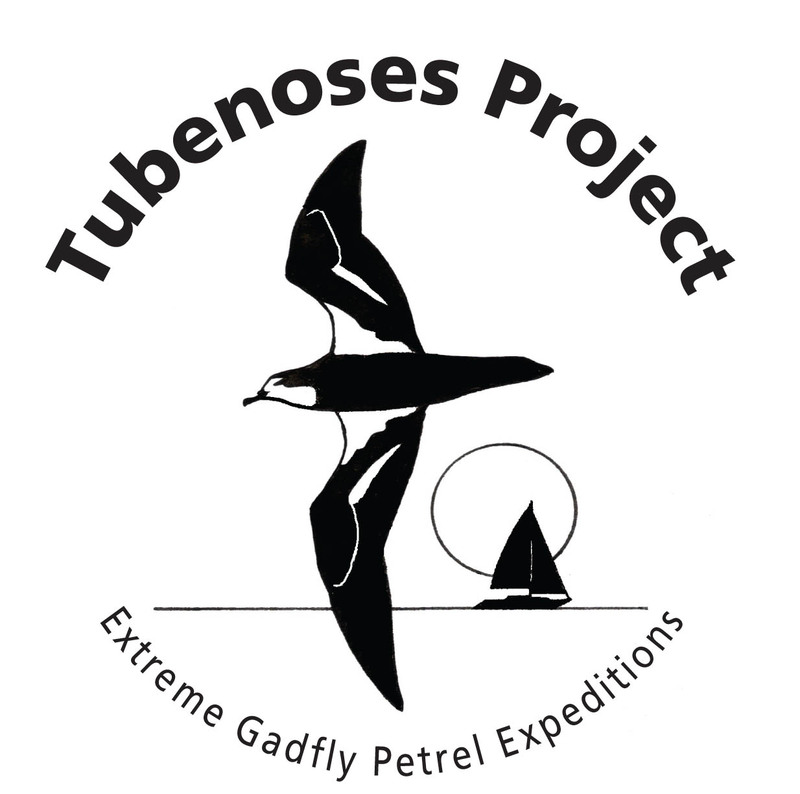 A thread on a message board caught my eye – ‘Vagrant Emperors at RSPB Dungeness’. I read on – three rare dragonflies that were supposed to be in Africa had been found hawking over a ditch down in east Kent. 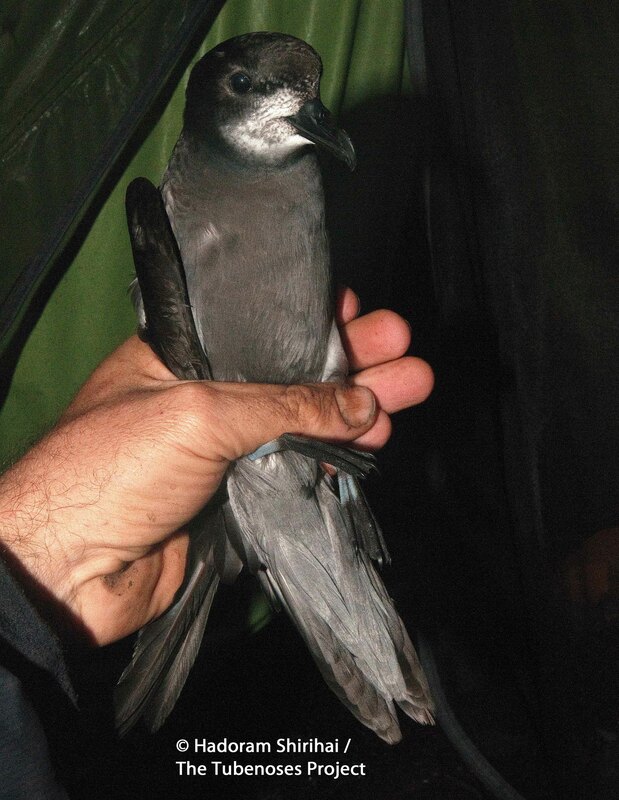 Twitching, or rarity-chasing, isn’t just for the birders. 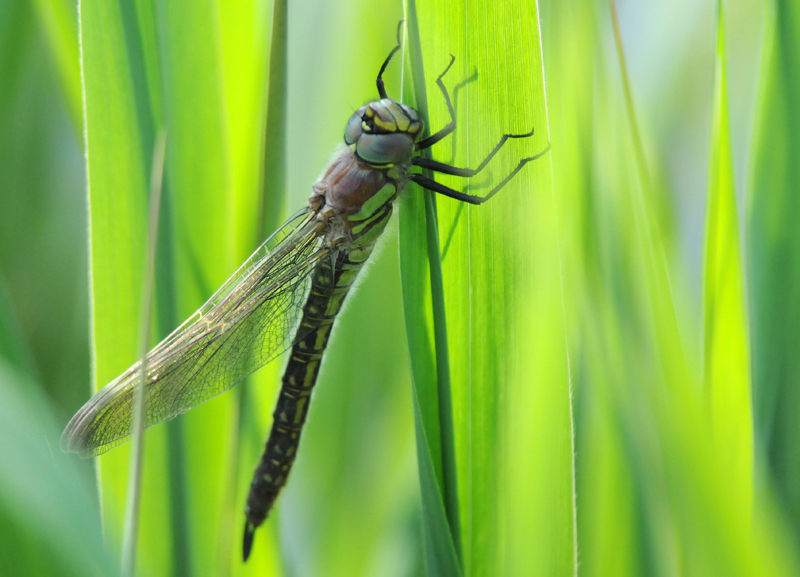 When we arrived on Denge Marsh Road on Monday morning, there was already a long row of parked cars – everyone eager to see the exotic dragonflies. People were standing on a nearby stone bridge over the ditch that had seen all the action yesterday. No Vagrant Emperors to be seen – perhaps they had flown on north, but it hardly seemed to matter. We were surrounded by wildlife. 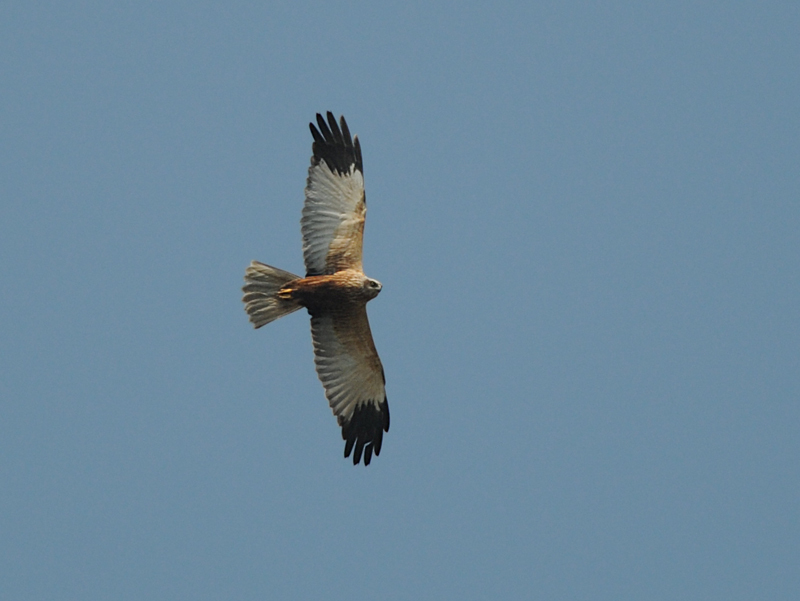 Overhead, the local Marsh Harriers cruised and wheeled. Through the morning they shared their airspace with a mini-procession of migrant raptors – a Red Kite, another, a Hobby, a third kite. 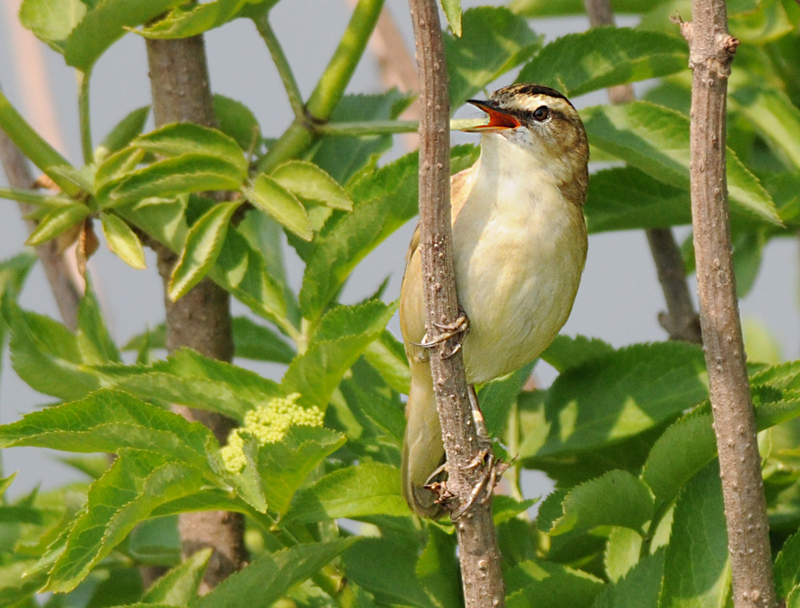 Closer to hand, a Sedge Warbler sang with extraordinary verve and exuberance. I watched as it pirouetted around a reed stem, then launched itself skywards, singing furiously all the time. 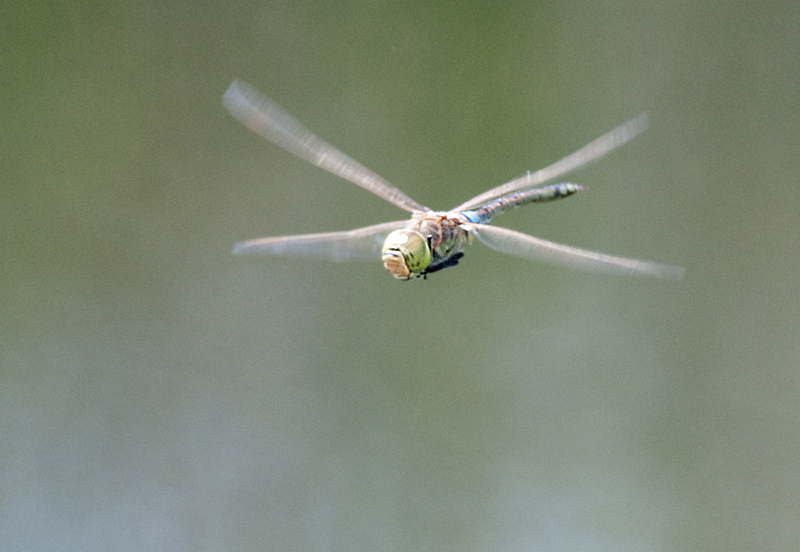 Over the creek flew little Hairy Hawker dragonflies, while right below us in the water lurked a hefty Pike, regarding the humans above with a cold and disenchanted eye. Then a shout came from down the creek – when all hope seemed lost, someone had spotted the Vagrant Emperor. The electrified crowd moved as one, racing down the path alongside the creek, trying to control swinging binoculars and cameras and dodging ruts and furrows underfoot. We caught a glimpse of the golden-winged dragon just as it disappeared around a bend. We waited, and eventually it came powering back along the creek, a volley of camera clicks tracking its progress. We sat in the long grass and watched it go by again, once, twice, three times, and then it was gone. Everyone began to drift away, but we stayed a little longer, watching Swallows skimming the fields around us while fat, clumsy alderflies settled on our shoes and a freshly emerged Hairy Hawker climbed slowly up a reed stem, the sunshine glistening on its brand new wings. Marianne is the author of our brilliant new book RSPB Nature Watch – click the cover below to pick up a copy! 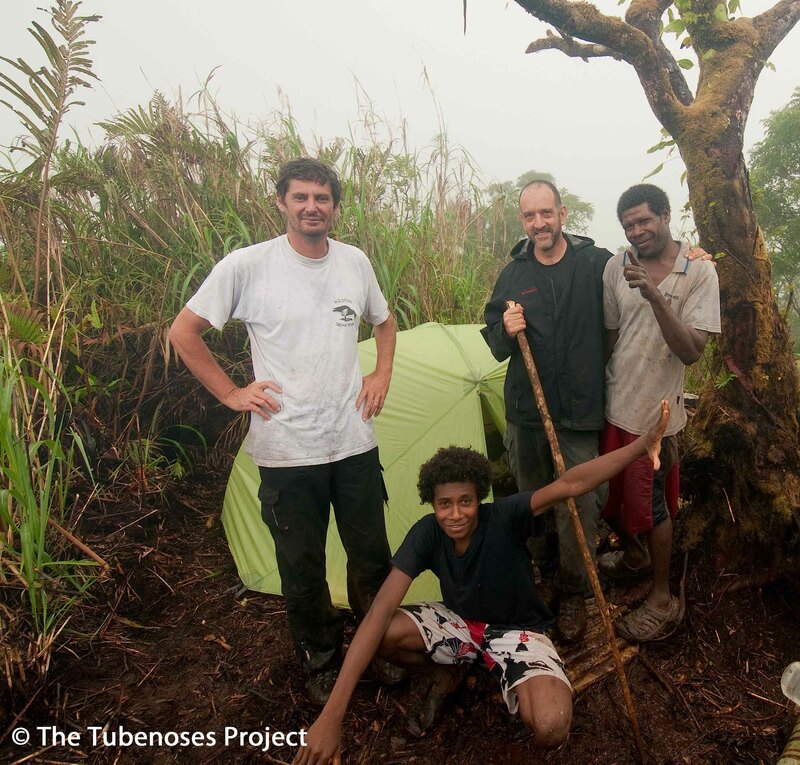 You can read more about Marianne’s adventures on her blog, The Wild Side. It is early morning and we are peering out of a weathered wooden hide at some 400m2 of grassy slope – part of the largest Puffin colony in the North Sea, on the Isle of May National Nature Reserve in the entrance to the Firth of Forth, southeast Scotland. Some of the Puffins disturbed by our arrival at the hide are starting to land, while others that dived down into their burrows peer out before confidently re-emerging. They should be used to us, since this is the 40th year that we have been watching them. View from the hide (Liz Mackley). The colony is a busy place today, even though by early May most pairs will probably be incubating their single egg, deep within their burrow. 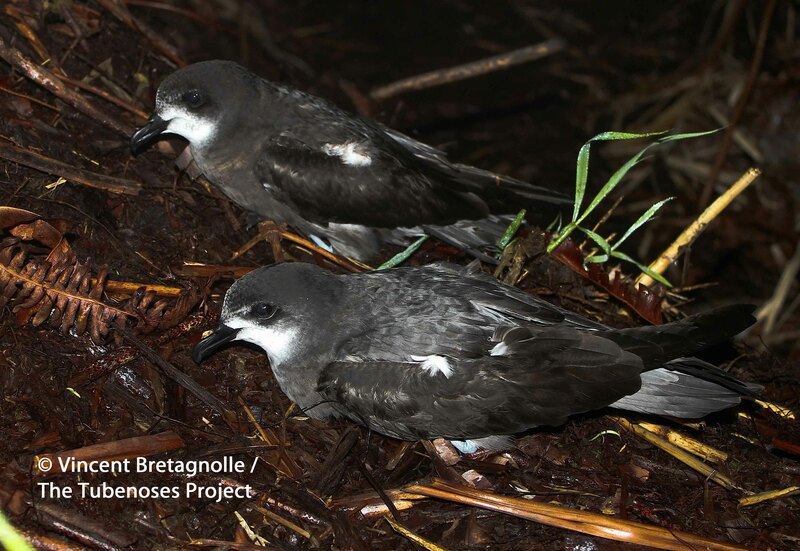 However, some birds are still squabbling over the ownership of burrows. Usually this involves little more than threats but there is the occasional scrap, with the protagonists tumbling down the slope, beaks locked, wings flailing. Other birds are tugging away at clumps of dead grass and taking bundles down burrows to line the nest chambers. 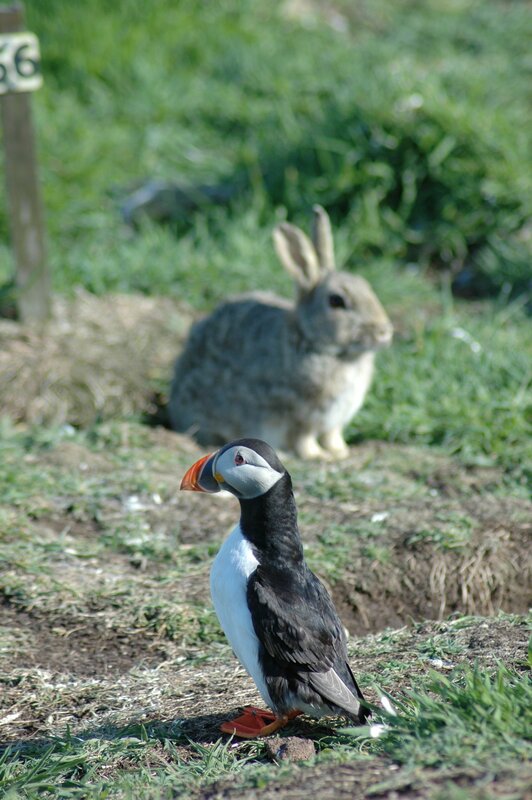 Periodically, a rabbit hops through the area looking slightly intimidated by all the Puffin activity. During the winter it probably lived in a Puffin burrow but has been evicted now that the owner has returned, its soft nose being no match for a Puffin’s beak! Puffin and rabbit (Eleanor Watt). As well as simply enjoying watching the goings-on in the Puffin colony, our visit to the hide on this and many other mornings has a more scientific purpose. We are trying to read all the colour-ring combinations of the birds that are present, and this is best done early in the season before the vegetation has grown. 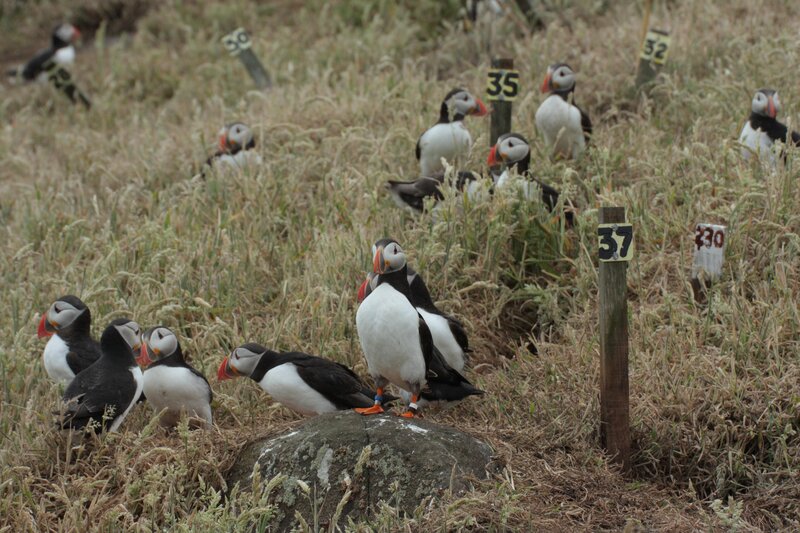 At the end of the 2010 season, 158 colour-ringed Puffins were known to be alive, and so far this season we have recorded 75% of these at least once. 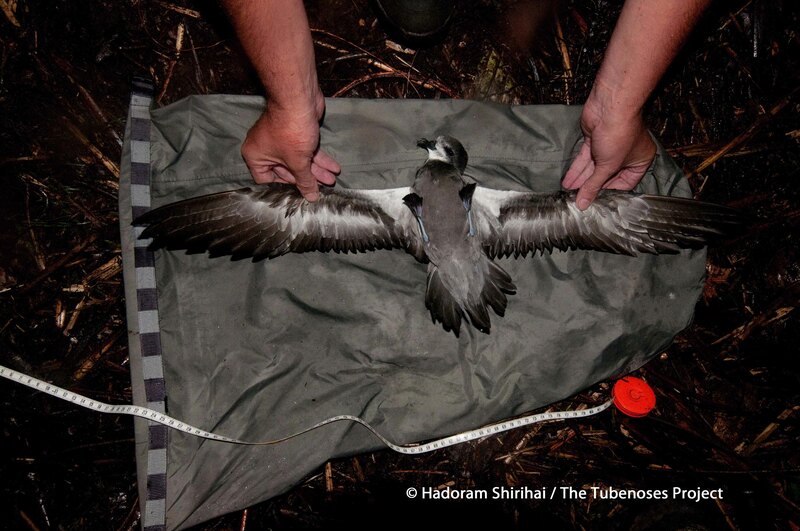 There is still plenty of time to tick off more birds but already it is clear that that survival rate over the 2010–11 winter has been good, since the resighting rate is approaching the normal 80–85%. Actual survival is always a little higher than the resighting rate, since we never see all the birds alive. The Puffin that we would love to see, but sadly probably won’t, is ‘yellow-blue left, yellow-BTO ring right’, a male ringed as a breeding adult in 1974, when he would have been at least five years old. He last bred in burrow number 100 in 2005 and was present in the colony in 2006 and 2008, when he would have been at least 39 years old. Currently the longevity record for the Puffin is held by a bird that died in the Lofoten Islands in Norway when aged 41 years. 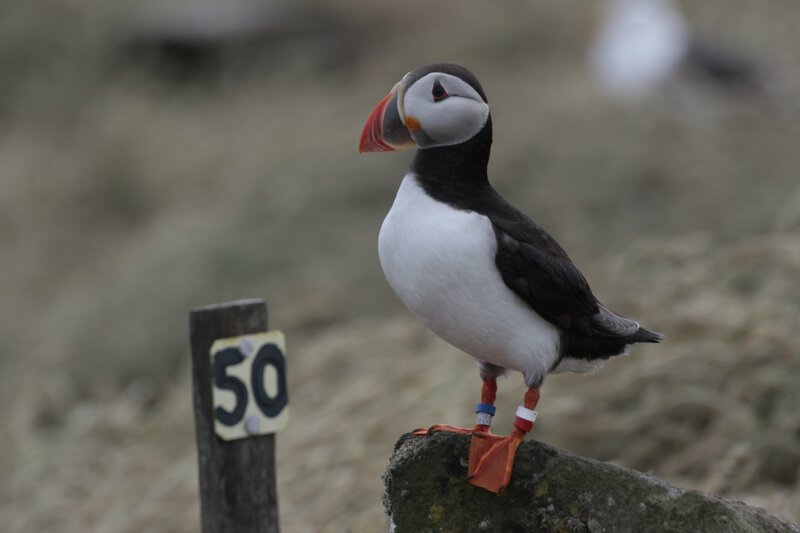 Colour-ringed Puffin on the Isle of May (Liz Mackley). On the Isle of May the Puffin is among the earliest of the seabirds to breed, with the first egg often laid in the first few days of April. 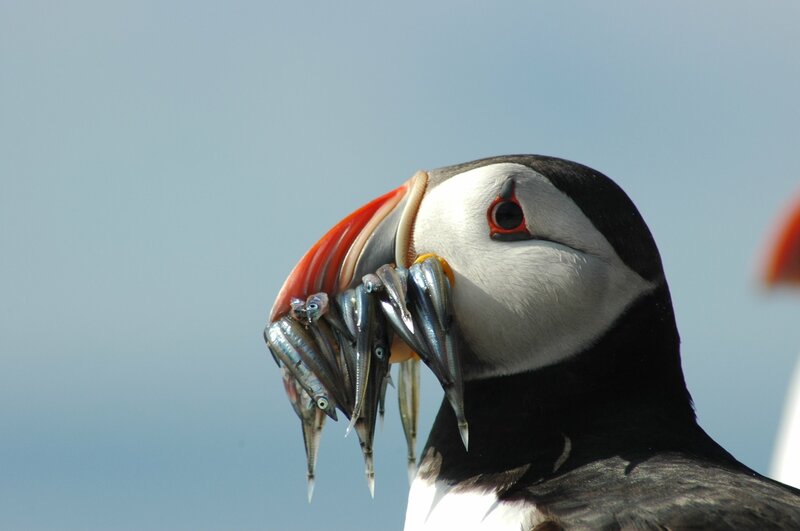 The incubation period lasts 40–42 days, so we are now looking forward to one of the highlights of summer at a seabird colony, seeing the first Puffin carrying fish ashore. Puffin carrying sandeels (Akinori Takahashi). 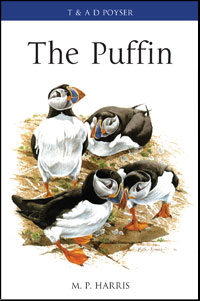 Mike and Sarah are the authors of our forthcoming book The Puffin – coming soon!